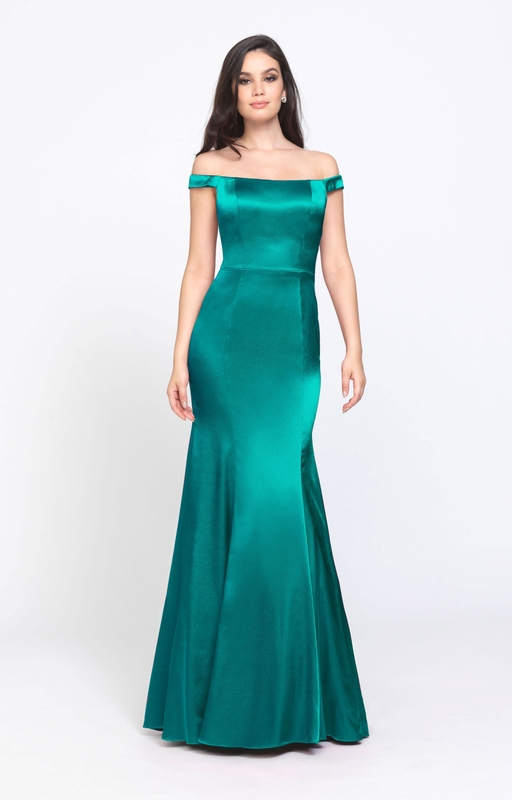 Madison James style 19200 is so timeless and elegant. 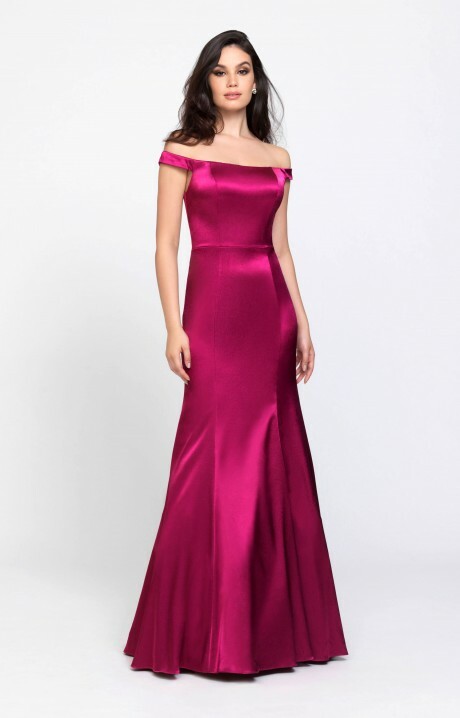 This gown has off the shoulder cap sleeves and is super fitted to show off your beautiful curves. The back has a zipper close and then a gorgeous train that will drag elegantly as you walk so that all eyes are on you. Add some formal jewelry and you and ready to go for a night you will always remember!